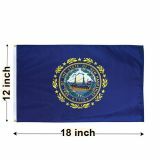 New Hampshire state flag has a blue field which the state seal of the Revolutionary warship Raleigh flying a thirteen star U.S. flag in front of a brilliant yellow rising sun appears. The year "1776" when the state became independent appears below the Raleigh. We have New Hampshire Flags in various popular sizes and fabric choicesincluding nylon and polyester. 100% made in USA, our commercial grade flags carry a guarantee of 6 months on construction. 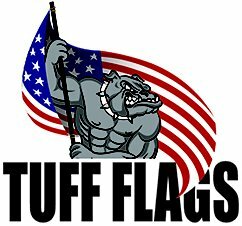 Apart from indoor and outdoor flags in all sizes, we at Tuff Flags also have solid Oakwood indoor flag kits that have all the items to set up a dazzling flag display. Shop from our complete line of New Hampshire Flags right away and avail the best prices, quick shipping and much more! 100% customer satisfaction guaranteed! Celebrate your love and pride for your state with New Hampshire State Flags from Tuff Flags. 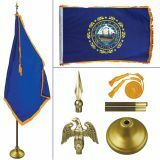 Offered in different material choices popular sizes like 3’x5’,4’x6’,5’x8’,6’x10’and 8’x12’ , these flags make excellent gifts, collectibles and tokens of heritage. Made of premium quality materials and finished with grommets and heading, our single face reverse flags feature fade resistant Dupont colors that will retain its brilliance for a very long time. Browse our complete line of New Hampshire State Flags and shop at your pace. 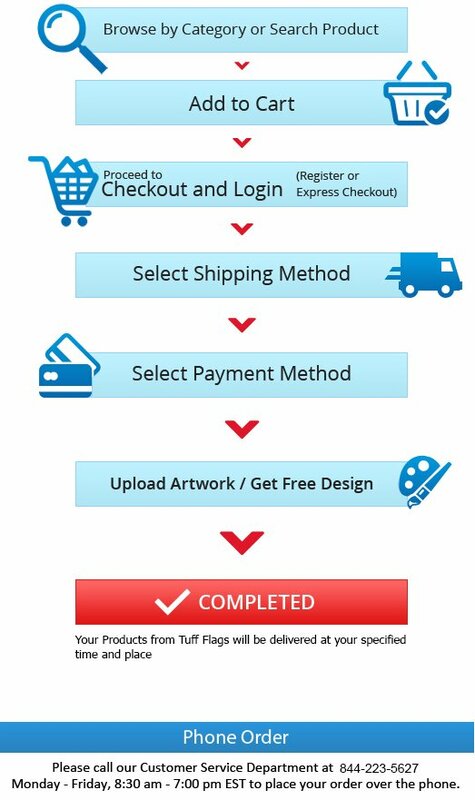 Should you need any tips, call our toll free number (888) 287-3524 or email at customercare@tuffflags.com and we will assist you.